Journalist Kostas Vaxevanis’ hearing on charges of violating personal data for publishing the Lagarde list has been postponed to November 1. Friends, colleagues and supporters of the Hot Doc magazine publisher gathered outside the court house at noon on Monday, when the hearing was due to take place, including MPs and journalist union representatives. Vaxevanis appeared in court on charges of violating personal data, two days after his news magazine Hot Doc published a leaked list of 2,059 Greek residents with accounts in Swiss bank HSBC. The list published by the magazine contained only names without the size of the bank accounts. The defence requested that the hearing be postponed because a number of people whose names are on the list had expressed their intention to testify as witnesses, defence lawyer Charis Oikonomopoulos said. Vaxevanis’ other lawyer, Nikos Konstantopoulos, stated the defence’s intention to highlight the political dimension of the case. Exiting the court Vaxevanis said among others that it was his duty to publish the list because “everything else is public relations”. Vaxevanis was arrested in the northern suburbs of Athens on Sunday, in execution of a warrant issued ex officio by an Athens prosecutor on Saturday night, just hours after the publication of the list. Minutes before his arrest he had tweeted his whereabouts and challenged police waiting outside to pick him up. The journalist was briefly detained at the GADA police general headquarters on Alexandras Avenue and was released three hours later, to the cheers of waiting supporters, after appearing before a public prosecutor. Syriza in an announcement called the ex officio action against Vaxevanis “provocative and unacceptable”, noting that “justice hastened to act against those who reveal, whereas it displays sluggishness vis-a-vis those who conceal”. “The prosecution is political, and as such should be faced by the entirety of the Greek people who are called on these days to suffer the consequences of the harshest and class-oriented policy ever known to Greece since the restoration of democracy, and also the consequences of the long-standing and systematic tax evasion by ‘those who have’,” Syriza charged. In a similar statement, the Communist Party of Greece (KKE) also called the action against Vaxevanis “unacceptable and provocative”. The list had ended up in the hands of French authorities roughly four years ago when they seized digital evidence from the house of former HSBC employee Herve Falciani, who was wanted by the Swiss authorities and who had illegally copied details of bank accounts that belonged to roughly 20,000 people. The list was sent to then finance minister George Papaconstantinou by his French counterpart Christine Lagarde. Papaconstantinou claimed to have had the original list, sent in CD format, copied on a USB stick which he turned over to the ministry’s financial crimes squad SDOE for investigation, and that he turned over the original CD and accompanying documents to his office for “confidential safekeeping” and was unaware of its current whereabouts. 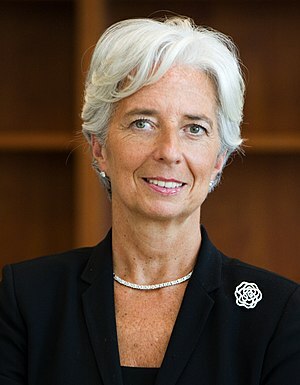 IMF Chief Christine Lagarde is sending in tax experts? What a laugh!! The business magazine Wirtschaftswoche reported that IMF Chief Christine Lagarde is hoping to attract retired German financial experts to help out ailing Greece. She is said to be looking for people with tax experience and also those who held management positions. Some 170 tax experts from German state and federal finance offices have already offered their services to the Greek tax authorities. But according to State Secretary Hartmut Koschyk only seven of these experts have actually been sent to Athens to help out. They offered advice in two and three-day workshops to Greek finance officials, especially in the areas of how to deal with large companies, wealthy individuals, tax audits and enforcement. Meanwhile, Focus magazine reported on Saturday that Greece is expected to receive its latest bailout instalment of €31 billion. A report due soon from Europe’s “Troika” of advisors – the European Union, the IMF and the European Central Bank – is expected to allow the money to be released. The magazine said it remains unclear when that report will be released, but an oral mid-way report about Greece’s situation is expected when EU finance ministers meet in Luxembourg on October 8. Something stinks perhaps it’s the smell of occupation by the back door ?? An interesting speech given by the IMF Managing Director, Ms Christine Lagarde to the Annual Leaders’ Dialogue Hosted by Süddeutsche Zeitung last night. Here are some extensive exerts from it and my thoughts – sketched out, rather than focused – about her ideas. Part 2 of the speech focused on the need for breaking the cycles of the crisis(that amplify risks to the economy, including global economy). Do note – coincidentally, the theme is exactly identical to my forthcoming Sunday Times article and to the research note currently awaiting legal clearance (both will be posted here early next week).